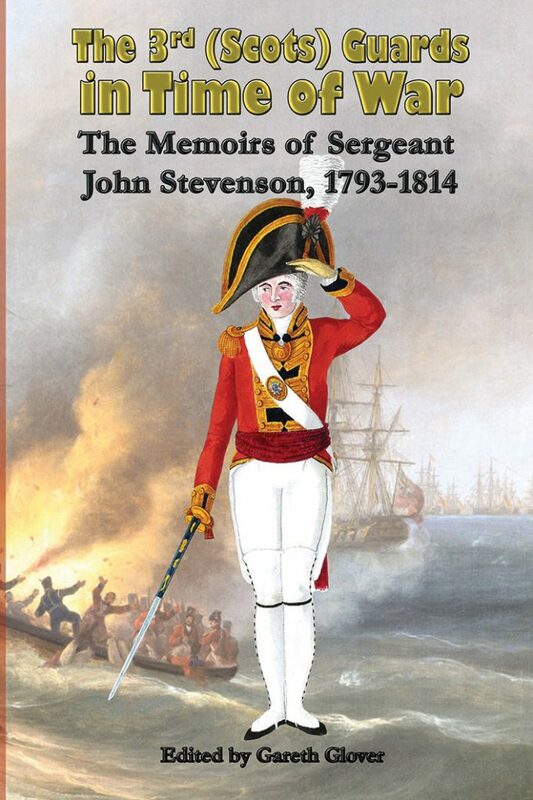 The memoir of Sergeant John Stevenson was published in 1841. His memoirs cover a number of campaigns, including Ireland in 1798, Egypt in 1801, Hanover in 1806, Copenhagen in 1807, the Peninsular war 1809-11 and Bergen op Zoom in 1814. However, it is of immense value, particularly in its depiction of life fighting in the Duke of York’s two campaigns in Holland 1793 and 1799, but also the rise of Methodism within the British Army and how the authorities dealt with it. His memoir was studied in detail by John Fortescue when he wrote his History of the British Army and is thoroughly recommended by him and is also mentioned by Charles Oman, who of course wrote A History of the Peninsular War, but he incorrectly states that it was published in 1830, rather than the correct 1841. Having been intrigued by the use of this memoir by two such eminent historians, I was then astounded to find only five copies of the book recorded throughout the world, with only two in Great Britain, two in the United States of America and one in Portugal. I therefore sought to obtain a copy from one of the British holders, the Cambridge University Library and the National Library of Scotland. The NLS duly obliged and this re-print is due to their generosity and finally allows it to be enjoyed by a wider audience, as it so deserves. The discharge papers of John Stevenson confirm that he served in the Third (Scots) Foot Guards from 3 June 1793 until 6 October 1814, serving in the regiment for a total of 21 years and 125 days. He served as a private for 5 years and 14 days which would make the date his promotion to corporal on 17 June 1798. He then served 2 years and 171 days before he became a sergeant on 5 December 1800. He was born at Nettleton in Lincolnshire and was enlisted at the age of 19, his former profession having been a bricklayer. At his discharge in 1814 (following a wound received in Flanders in 1794 and being old and worn out) he was recorded as being 40 years old, a very specific 5 foot 9 5/8 inches tall, with dark hair, grey eyes and with a fresh complexion. Attached to his service record is a small slip of paper, recording his birth to Thomas and Elizabeth Stevenson at Nettleton on 27 March 1774 and duly signed by his local clergyman. His parents would appear to have had four further children whilst at Nettleford or Tealby, Mary in 1776, Thomas in 1777, Benjamin in 1778 and Elizabeth in 1781. This presumably was used to prove his age when going on a pension, as also attached is a rather interesting (and rare) slip attesting him (here spelt John Stevison) fit to join the army, signed by a surgeon and by a Timothy Lundie, Deputy Mayor of Beverley in Yorkshire, dated 3 June 1793. However, it is interesting that the slip states his age as only 16 whereas his birth certificate and his army records would make him 19. As he was also only recorded as 5 feet 5 inches in height at this time, it is conceivable that the description and age of another person was mistakenly put in. However, for his pension, John would have been required to prove his length of service from the age of 18 (whilst younger, any service did not count for the pension). It would appear therefore that a copy of his original birth certificate was sought out to prove that he was over 18 on joining the Army. He was duly awarded a pension of 1s/10d per day for 21 years’ service. We know that John married Elizabeth Montague at Chatham on 16 November 1807 and although he does not mention any children there is a baptism for a Joseph Stevenson at Chatham on 21 September 1808 to a John and Elizabeth Stevenson, this would appear to be our pair. An Elizabeth and a Joshua baptised at Great Queen Street, Lincoln Inn Fields Wesleyan Church in 1815 and 1817 respectively could also be theirs. A further little mystery surrounds another slip of paper discovered in his file purportedly referring to our John. Having been retired from the 3rd Foot Guards, we find a Sergeant John Stevenson taken from pension to serve with the 4th Dragoon Guards, presumably in an admin role at the regimental depot, and finally put back on his pension as being ‘surplus to the no. wanted’ by Colonel Sherlock. It is signed at York by a Captain Peter Keogh, commanding the 1st Royal Veteran Battalion and dated 27 December 1819. This John was given 18 shillings and 4 pence to travel to his home in Nottingham. This mystery is solved when it is realised that ANOTHER Sergeant John Stevenson fought in the 3rd Foot Guards at Waterloo, it must clearly be this man that is referred to here and his record has been mixed into our John Stevenson’s record in error. A Sergeant John Stevenson and a Private John Stevenson served at Waterloo in the Third Foot Guards and were issued medals. As we can see from our John’s history, neither of these were our John, but it is clear how easily that mistakes have been made. It is for this reason that Oman has incorrectly stated that our John served at Waterloo. In 1849 a John Stevenson of the Third Foot Guards was issued a Military General Service Medal with bars for Talavera, Bussaco and Ciudad Rodrigo, but this would again seem to refer to the ‘other’ John Stevenson as our John would also have been eligible for bars for Egypt and Fuentes d’Onoro. It is possible that our John Stevenson may have retired to Witham in East London as the pension records show a John Stevenson who was pensioned from the Third Foot Guards in October 1814 (which surely must be him) living there. If so, the only death for a John Stevens? in London, I can discover, is at St George’s Wesleyan Chapel in New Road (also known as Cable Street, East London), on 23 November 1849 If this is our man, it would also explain why he failed to apply for a Military General Service Medal in 1849.